Tooth whitening is fast becoming the most popular method for improving the appearance of our smile. It is ideal for all those who are seeking a simple, painless and effective way to a long-lasting brighter, whiter smile. Here at TOOTH we are specialists in Teeth Whitening and we use all the very latest techniques that provide fantastic and lasting results. Using a special ZOOM gel in combination with powerful ZOOM Light, we will produce fantastic results in the shortest time frame. In under an hour, our pain free treatment will give you a brighter and whiter smile. 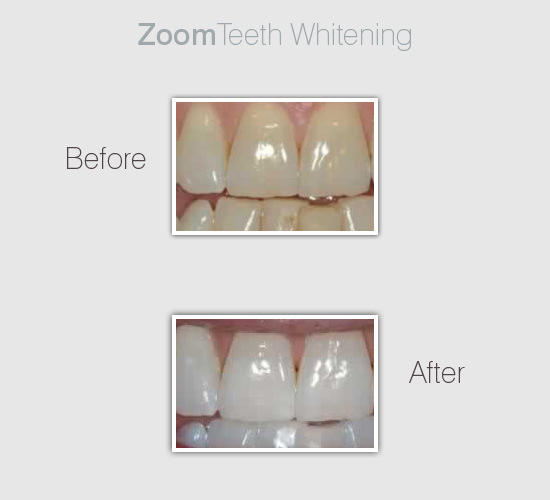 We provide the premier ZOOM Teeth Whitening service in Queens, Long Island and New York City.